24th May 2018 – Save the Puffer! 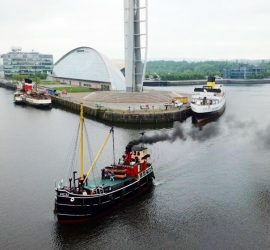 Today as the Puffer set out on one of her Glasgow Day Trips, she was photographed with the Queen Mary and the Waverley in the background. Great moment!